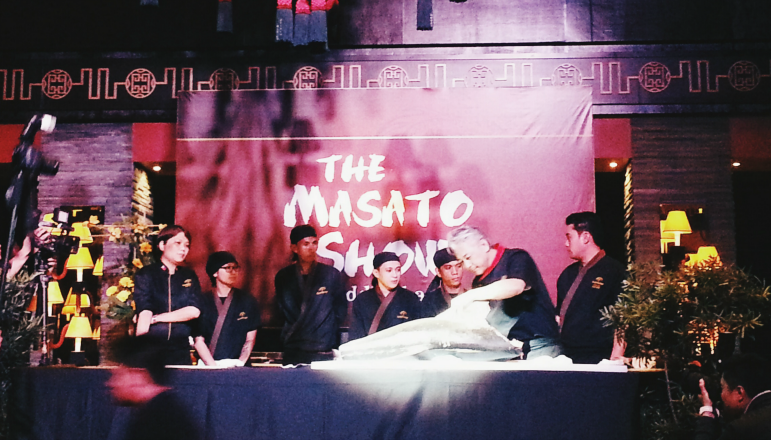 Finally, it was Buddha-Bar Manila's turn last July 5 to experience the famous The Masato Show by world famous sushi chef Masato Nakabayashi. This sushi exhibition featured the live cutting of a whole 40-kilogram fresh tuna and turning it into delectable and unusual sushi and sashimi creations right before our eyes! The lush and sophisticated interiors and elegant ambiance of Buddha-Bar definitely was the best place for this event. For a brief background around Chef Masato, his journey began at a small oceanside town in Japan. He soon moved to Utah in the US to learn the fine art of sushi making at a longtime friend’s traditional Japanese restaurant. After a decade of honing his skills, Masato achieved fame as a Sushi expert known for his uncanny ability to surprise the most discerning of diners and for his exuberant creativity. Masato was then appointed to create the menu of the Little Buddha Café that was about to be opened in the Palms Casino Resort in 2001. There was no looking back from thereon as Masato’s inventive creations and unconventional style sealed his reputation as one of the best Sushi Chefs in the world, now recognized as Buddha-Bar style. Currently working at the Buddha-Bar Paris main headquarters, Masato spends most of his time developing exciting and unexpected recipes and training new sushi chefs for Buddha-Bar outlets worldwide. With the tuna ready on the table, Chef Masato, armed with his array of special knives, proceeded to cutting and carving the fish with impeccable precision. You can really tell that he is an expert at his craft. After a few minutes, the signature appetizer is served. I'm no expert when it comes to sushi or sashimi but one thing I can comment is that the freshness of the tuna was really evident. And even though the portions served were small (but looked really dainty on the plate), the flavors really popped. The first course was served and paired with Gekkelkan Sparkling Sake, which was a nice partner to the fish. And this was the only alcoholic drink I was able to take that night because, honestly, I was afraid of trying the other drinks served that night. One whiff and I could tell those could reach way beyond my alcohol limit. Haha. The Signature Rolls and Classic Nigiri plate was served next. 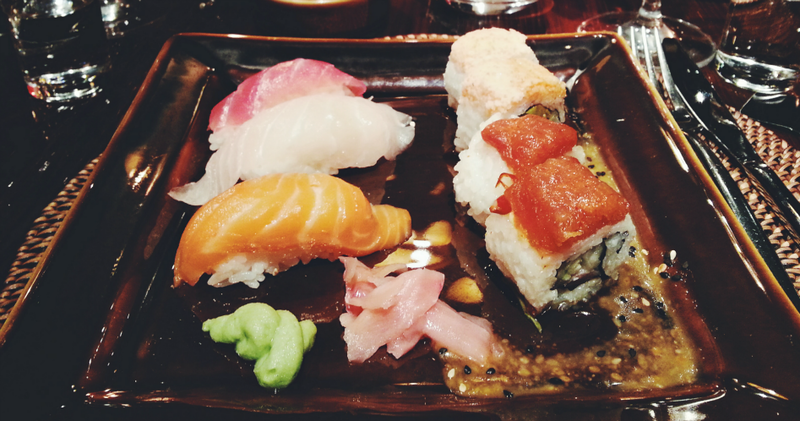 It consisted of Crazy Spicy Maguro, Pink Lady, Salmon Sushi, Tuna Sushi and Red Snapper Sushi. I loved the variety and the colors on this plate, and this was my favorite out of all the courses. The Salmon Sushi and Pink Lady won my heart! The Special Creation Salmon Sashimi. 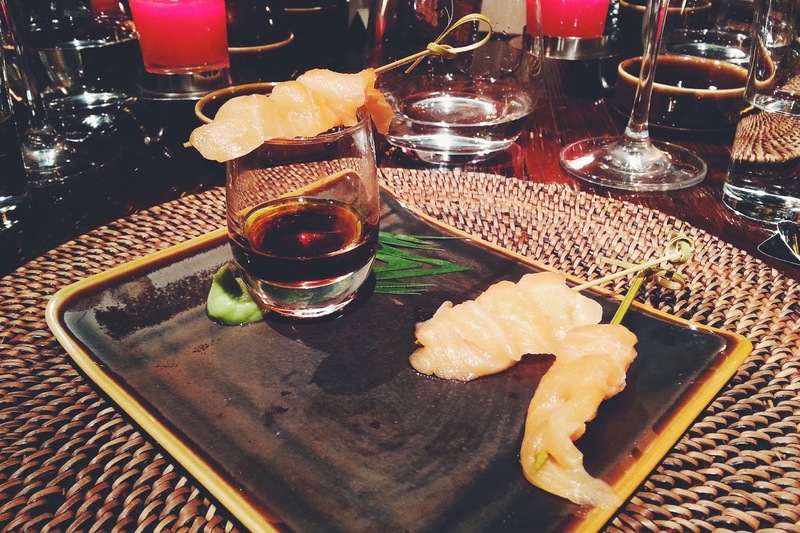 These are fillets of salmon in skewers with kabayaki and chili oil sauce. I've read online that kabayaki is a way of cooking fish wherein you fillet and debone the fish and glaze-grill it with a sweet soy sauce-based sauce. In this case, we were served with fresh salmon to be dipped in the sweet and hot chili oil sauce. Kudos to the consistency of all the fish served! They all tasted fresh and clean. The last two courses were served at the same time. 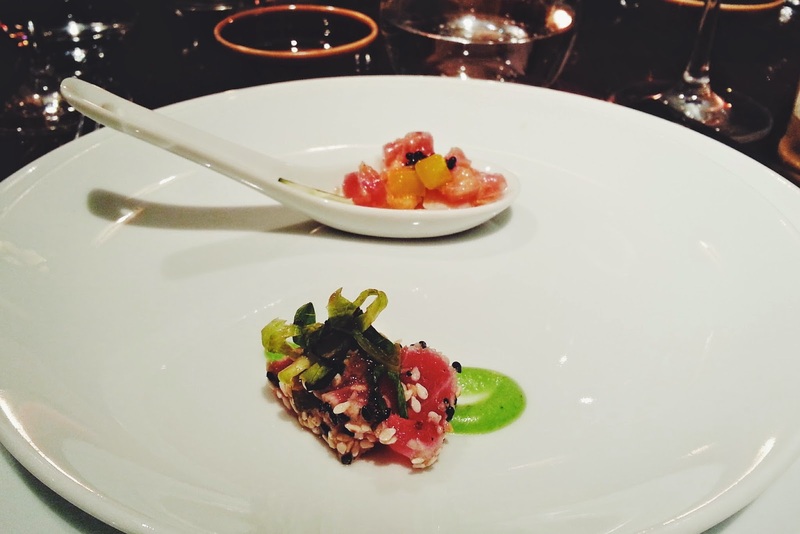 The one on the left is the New Style Tuna Sashimi with Black and White Sesame Dressing and Wasabi Ebiko, and the one on the right is the New Style Tuna Sashimi with Kizami and Black Tobiko. The night ended with the 40-kilogram fish gone and Chef Masato's delicious creations in our tummies. 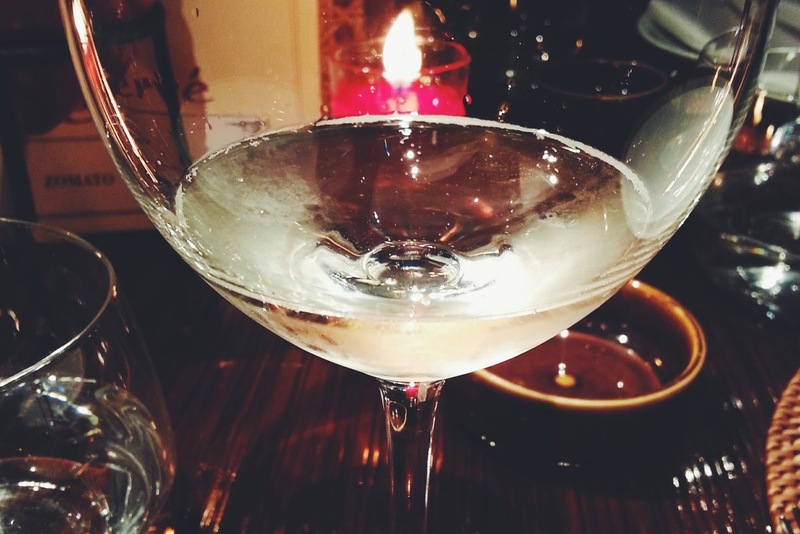 It was a visual and gastronomic treat, and definitely a night of firsts for me! Special thanks to my friend CJ for letting me attend in his behalf and Zomato for the invite!